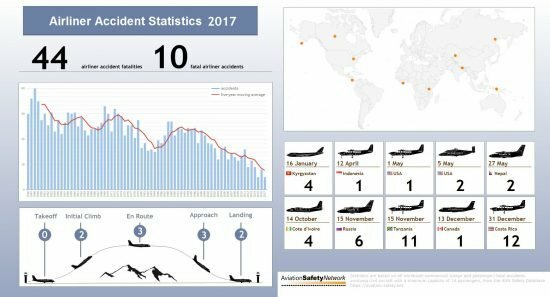 The U.K. Air Accidents Investigation Branch (AAIB) released its Annual Safety Review 2017. The AAIB reported that it received 708 occurrence notifications in 2017 and deployed 38 times to conduct field investigations, 16 of which were fatal accidents in the UK resulting in 28 deaths. A further 204 investigations were conducted by correspondence. Most of the fatal accidents involved General Aviation with the dominant causal factors being loss of control in flight and weather-related issues. A review of General Aviation accident reports published by the AAIB between 2010 and 2015, inclusive showed similar causal factors. The predominant causal factor was loss of control in flight, which accounted for almost half of the 72 accidents. Of these, most involved the aircraft entering an inadvertent stall and/or spin following engine failure, or during aerobatics. In 2017 the AAIB issued 29 Safety Recommendations from 8 investigations. As of the end of February 2018, responses have been received for 21 of these 29 recommendations. In assessing the responses, 15 were adequate and closed, 5 were partially adequate and 1 was not adequate. In 2016, nearly 230 aircraft were involved in accidents in Australia, with another 291 aircraft involved in a serious incident. 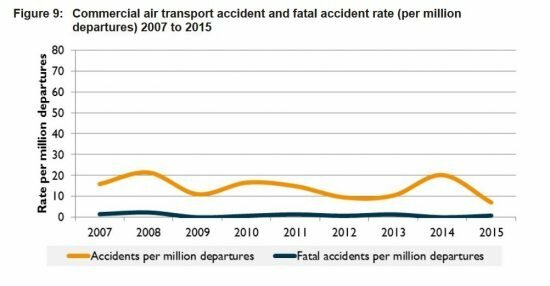 There were 21 fatalities in the aviation sector in 2016, which was fewer than any previous year recorded by the ATSB. There were no fatalities in either high or low capacity regular public transport (RPT) operations, which has been the case since 1975 and 2010 respectively. Commercial air transport operations experienced one fatality from 15 accidents; general aviation experienced 10 fatalities from 119 accidents; and recreational aviation had 10 fatalities from 63 accidents. Collision with terrain was the most common accident or serious incident for general aviation aircraft, recreational aviation and remotely piloted aircraft in 2016. Aircraft control was the most common cause of an accident or serious incident for air transport operators. Wildlife strikes, including birdstrikes, were again the most common types of incident involving air transport and general aviation operations, with runway events the most common type of incident for recreational aviation. The accident and fatal accident rates for general and recreational aviation reflect the higher‑risk operational activity when compared to air transport operations. They also reflect the significant growth in recreational aviation activity over the last ten years and this sector’s increased reporting culture. General aviation accounts for one‑third of the total hours flown by Australian-registered aircraft and over half of all aircraft movements across Australia. The total accident rate, per hours flown, indicates general aviation operations are 10 times more likely to have an accident than commercial operations, with recreational aircraft around twice as likely to experience an accident than general aviation. 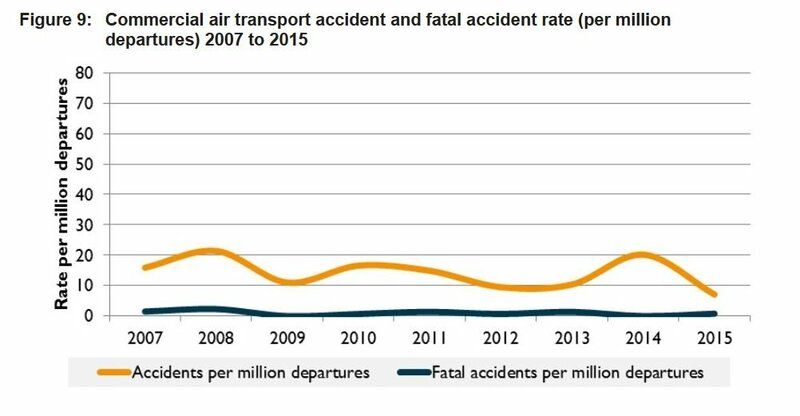 The fatal accident rate, per hours flown, indicates general aviation operations are around 20 times more likely to experience a fatal accident than commercial air transport, and recreational operations are almost 40 times more likely to experience a fatal accident than air transport. The UK Airprox Board (UKAB) published their annual report over 2016. 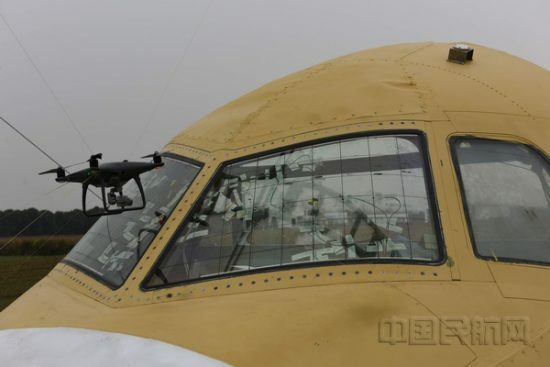 UKAB assessed 265 Airprox in 2016, of which 171 were aircraft-to-aircraft encounters and 94 involved drones/small unmanned air systems (SUAS). The number of aircraft-to-aircraft encounters was similar to 2015 (when 177 incidents were reported) but the number of drone/SUAS encounters more than doubled compared to 2015 (there were 40 drone/SUAS incidents in 2015). Of the 171 aircraft-to-aircraft incidents, 58 (34%) were assessed as risk-bearing events where safety was not assured (Risk Categories A & B). This represents a decrease compared to 2015 (when there were 177 overall aircraft-to-aircraft notifications with 79 (45%) risk-bearing outcomes). According to an audit, the U.S. FAA has taken steps to identify flight deck vulnerabilities but needs to enhance its mitigation efforts. In the wake of the pilot-suicide crash of Germanwings Flight 9525 in March 2015, U.S. Senator Dianne Feinstein requested that the U.S. Department of Transportation’s Office of Inspector General (OIG) evaluate the Federal Aviation Administration’s (FAA) oversight of commercial airline flight deck safety. The audit objectives were to assess the effectiveness of FAA’s actions to (1) identify vulnerabilities to flight deck security, and (2) mitigate identified flight deck vulnerabilities. The OIG made six recommendations to the FAA to improve cockpit safety and security; FAA concurred with three recommendations, partially concurred with one recommendation, and non-concurred with two recommendations. We are requesting that FAA reconsider its response for two recommendations. The Department of Transportation has determined that this OIG report contains sensitive security information (SSI) and will therefore not be disclosed to the public. It also includes information on the occurrence factors established from the AAIB investigations, with articles on the AAIB’s use of simulators and drones in accident investigation. The French Bureau d’Enquêtes et d’Analyses (BEA) similarly published their annual report for 2016. During 2016 a total of 116 investigations were opened and 46 Safety Recommendations were issued.